My day job is making Woodstock Chimes but at night I come out to play. 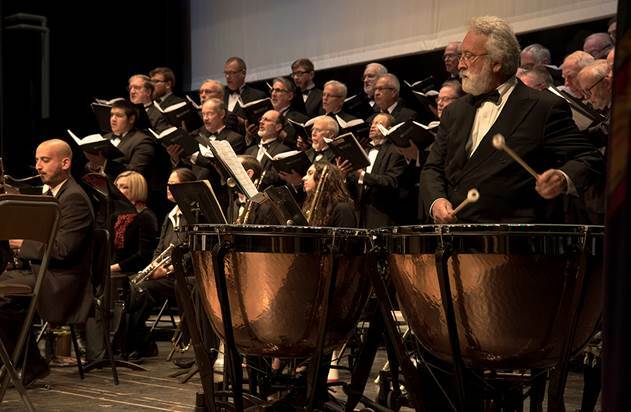 I recently had the privilege once again to play timpani with the Northern Dutchess Symphony Orchestra and the local Mendelssohn Club Men’s Chorus. We were joined by student guest performers from the Anderson Center for Autism. The Anderson Center students were additional soloists with the orchestra in Haydn’s Toy Symphony (18th century fake news: the scholars are still debating whether Franz Joseph Haydn, Austrian Benedictine Monk Edmund Angerer or Leopold Mozart actually wrote this symphony, which really isn’t a true symphony either – it’s technically a cassation). 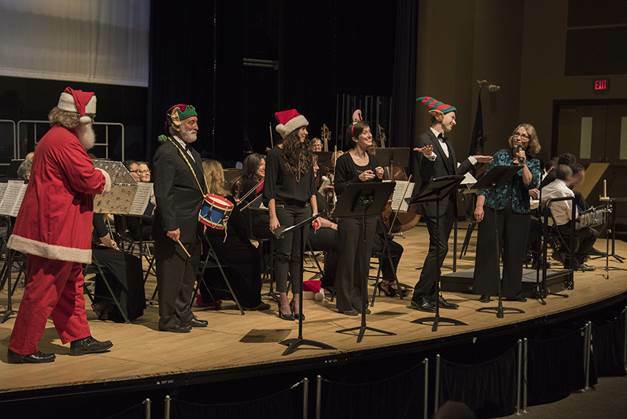 I was able to supply the authentic bird calls and toy instruments for five of us from the orchestra who played the written solo parts for cuckoo, nightingale, quail, toy drum and toy trumpet, while the Anderson students added “joyful noise” to the mix. It is refreshing to be part of a regional orchestra that is helping to keep local classical music alive and involve the community and its unique members. Thanks go to Maestra Kathleen Beckmann for her visionary programming. This was an exceptionally fun concert!